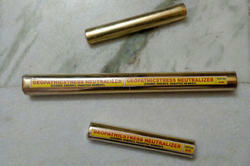 GEOPATHIC STRESS REVERSAL OR NEUTRALIZER RODS made by us is the Most Powerful Remedy Product available in the World to NEUTRALIZE the GEOPATHIC STRESS LINES Immediately, Effectively and Permanently at reasonable price . It is packed with Most Effective Crystal, Natural earth Sea Products + MINERAL Combination and impregnated with the required Frequencies to effectively Neutralize Block the Slow Harmful GEOPATHIC STRESS LINES . These Remedy Product is used in so many Countries Scientifically.It is Positive has no side effects , since it consists of all Natural Products. Vastu energy principles can be applied in such places and can harmonize such places after that the Vastu changes to living areas can help cure the illness most often. This is the Earths vibrations which rise up through the Earth and are distorted by weak electromagnetic fields created by subterranean running water, certain mineral concentrations, fault lines and underground cavities. The vibration distorted becomes abnormally high and harmful to living organisms. 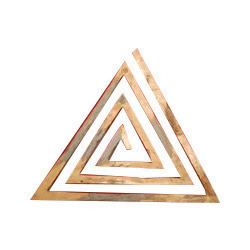 This is Brass Vastu Purush Pyramid. 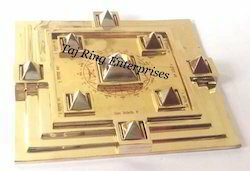 It is Made of 24CT Gold Plated Vastu Purursh Pyramid.Vastu purusha pyramid is the metaphysical diagrammatic design of cosmos on which the whole concept of Vastu Shastra is based. It is believed that Vastu purusha is lied down on the cosmos which constitutes energies in a way that his head is resting in North-east direction which represents balanced thinking; lower body facing South-west which represents strength and firmness; his navel is in center of the earth signifying cosmic awareness and holiness; his hand face North-west and South-east which signifies energy. 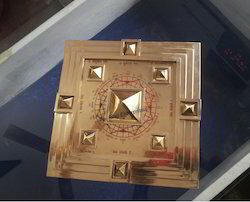 This Yantra is unique combination of some energetic elements. The main purpose of making this Yantra is to remove the flaws of Vaastu Dosh and to get prosperity till the eternity to get positive energy. It is made of full pure brass Natural polish. Vastu purusha pyramid is the metaphysical diagrammatic design of cosmos on which the whole concept of Vastu Shastra is based. It is believed that Vastu purusha is lied down on the cosmos which constitutes energies in a way that his head is resting in North-east direction which represents balanced thinking; lower body facing South-west which represents strength and firmness; his navel is in center of the earth signifying cosmic awareness and holiness; his hand face North-west and South-east which signifies energy. 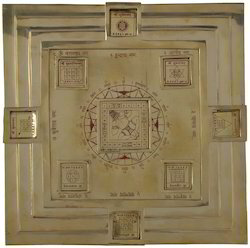 This Yantra is unique combination of some energetic elements. The main purpose of making this Yantra is to remove the flaws of Vaastu Dosh and to get prosperity till the eternity to get positive energy. It is made of full pure brass Natural polish. Length - 7" inch,8" inch ,9 inch ,10 inch as you Require . 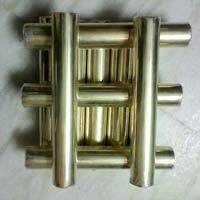 We are reliable manufacturers, traders of Copper helix. They are logical that encourages wealth. They are designed and manufacturer and tested under the supervision of our skilled artisans and inspectors.